Android wear was announced back in 2014 and it was something everyone was amazed at. 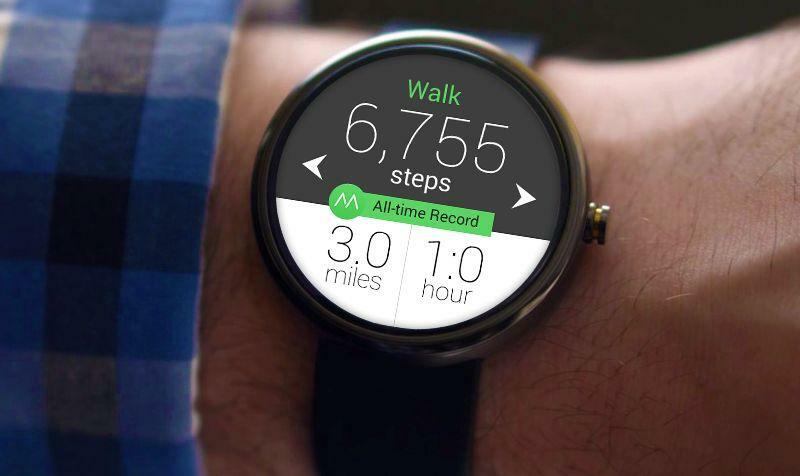 Android wear is an OS for the smart devices, that could be worn by anyone. These devices are basically the smartwatches being sold by companies like Samsung, LG etc. The aspect of a smart device that could be worn created a demand for it and people started using it. The smart watches could do many things other than just telling time, you could play music, read your emails, set alarms and many such simple things. Since the wearable devices are being the cost of a whole smartphone, not many people use it now, and didn’t create much big of a buzz as it was expected to. Still the Android Wear has a good user base and a lot of developers has started making their apps compatible to wearable devices. Now more than 4000 apps exist in the Google Play Store which are compatible with the Android wear devices. Checking the weather easily is one of the features of wearable devices that you would like.This is the weather app for android wear that we would recommend. It has several features which make it stand out. They have a good android app, colorful widget options, a live satellite weather feed, weather forecasts, warnings, alerts and many more features. There are some in-app purchases. Everybody who has ever used this app has fell in love with it. Google made this app with lot of detail and is one of my favourite apps ever. Google Keep was one of the first apps to become Google Wear compatible. The Android Wear application can be used to view old notes, edit old notes and even create new notes. The text can also be input by using the google voice input engine. This becomes useful in several situations since you no longer need to look at your mobile to take a quick look at your shopping list or something. IFTTT stands for If This Then That, this app is basically an app to make your android do several things based on triggers, such as going to silent mode when you reach your office. IFTTT has introduced several applets for when you connect your wear device. These will really come in handy. One example is getting notifications for a variety of triggers such as low battery on your android, missed call, sms etc, and the best part? You get to choose what these triggers and actions are. This list of Best apps for android wear 2017 would not be complete without a fitness tracker app, Runtastic is what we recommend getting. It has several more features than the basic Google Fit app. You can do things like starting, pausing, ending a run and viewing analytical data using the wear app. Gaming has always been a thing android users enjoyed, it has also found its way to the wear devices. Even though the screen is small and interaction options are limited, some games do exist for the Android Wear, Papercraft is one of them. The game is pretty straight-forward, swipe on the screen to shoot and eliminate the bad guys, dots on a screen here. There are points to be earned and leaderboards to be ranked. Do try this great app for android wear. So this was all about the Best apps for android wear 2017. These apps are all free and has the capability to bring a lot of functionality to your android wear device and thus into your life. Thanks for reading this post and do comment your suggestions below. We would also like you to check out an app called vidmate. It has nothing to do with android wear but is totally worth mentioning here. Vidmate is basically a content hosting app that let’s you download content for free. It helps users to grab content from sites such as Youtube, vimeo etc. You can download vidmate apk here. Do try it if you got time.